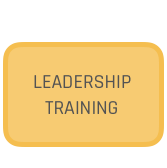 We provide leadership training to equip CEOs, business leaders and boards with the latest digital knowledge. Our training gives you enough knowledge to understand where there are gaps in what you’re doing with digital, without getting bogged down in jargon. We offer two levels of training in our standard programmes – foundations and advanced as well as a taster session for those who may need convincing of the benefits of a more in-depth session first. Which session is right for you depends on the level of digital maturity of the audience and the organisation as a whole. The training can be delivered for 1-8 people. Bespoke training programmes can also be created to suit your needs.